1976 Tennessee Inspection Sticker (Memphis) - $20.00 : Bob Hoyts Classic Inspection Stickers, Add a Final Touch to your Restoration! 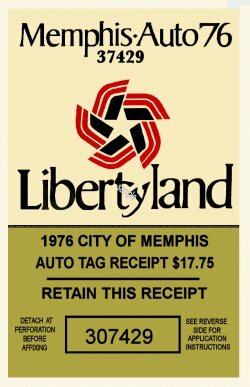 Here is a 1976 Memphis Tennessee sticker issued as tax and inspection. The receipt tab that originally went with the sticker has also been created. Buyer can cut it off or display the entire sticker.